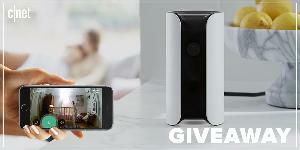 Prize: 2 winners: Grand Prize consists of one 1x Canary All-in-One Camera; one 1x Canary View; 1x Canary Flex Outdoor Camera; and a one year Canary Membership (subscription plan to access additional features). ARV of Grand Prize is US$566.00. Statistics: This contest was opened by 122 and entered by 13 ContestChest.com members. 11% of those who opened the contest, entered it.